85mm St r oke 190mm Inlet Dia. BSP1.5&rsquo;&rsquo; Power Unit 11kW Transmission Hydraulic drive Max. liu8 Whatsapp&viber: 86-15903613994 Thank you for your time and Welcome to Visit our factory! 2,In the metallurgical steel sector, for the maintenance of blast furnace and other equipment. 6,In the railway construction, for the bridge, culvert grouting reinforcement. 6,Can you arrange the transportation for us9 Yes,we can arrange sea and courier transportation. The splined shaft is made of alloy and the surface is specially treated, enhancing the performance of anti-wearing and anti-fatigue. 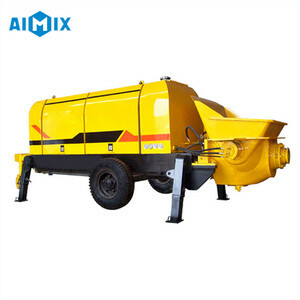 ,LTD was established in 2001, mainly products concrete pumps, concrete boom truck, concrete placing boom,spraying machine and so on. 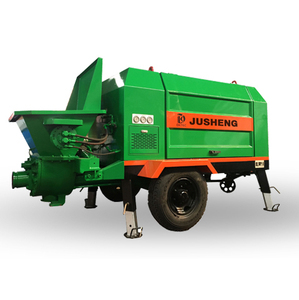 ,LTD was established in 2004,mainly products plantery concrete mixer, twin shaft concrete mixer,batching plant and so on. 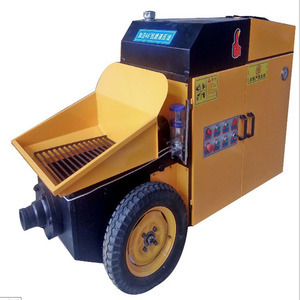 The Hydraulic Cement Grout Pump is mainly used in tunnel excavation and maintenance and the foundation treatment of mine, dams, bridges and high-rise buildings. 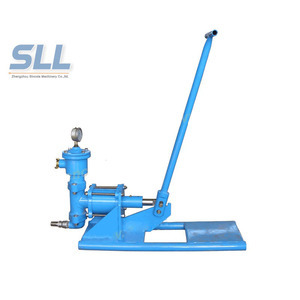 Explosion-proof type grouting pump is used in the places with high combustible gas, such as coal mine, chemical mines etc. mached explosion proof motor, which makes it small volume and light weight, high efficiency and wide applicability. The factory price,save the intermediate link and transaction cost. ---24 hours online free install training and operate training. And, we provide online and onsite technical training if necessary. The glasses plate and cutting ring adopt hard alloy material inlay manufacturing with wear resistant and long service life. 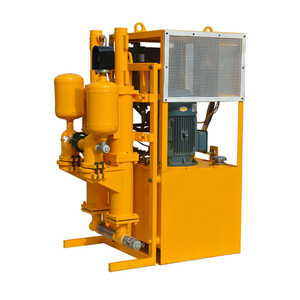 (4) this pump is equipped with high quality, light weight, easy to move, easy to maintain, and low maintenance cost. (5) the power of this pump is very low, considering the convenient problem of using electricity at construction site. 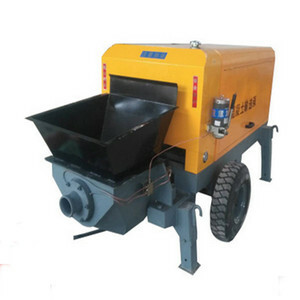 Hunan Saner Heavy Industry Technology Development Co., Ltd.
Alibaba.com offers 1,508 hydraulic grout pump products. About 44% of these are concrete pumps, 9% are other construction machinery, and 1% are other machine tool equipment. A wide variety of hydraulic grout pump options are available to you, such as piston pump, single-stage pump, and gear pump. You can also choose from free samples. 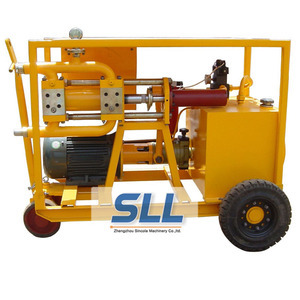 There are 1,507 hydraulic grout pump suppliers, mainly located in Asia. 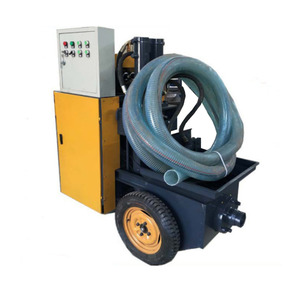 The top supplying countries are China (Mainland), Taiwan, and Turkey, which supply 99%, 1%, and 1% of hydraulic grout pump respectively. 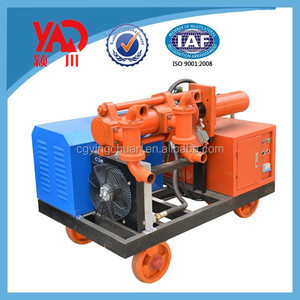 Hydraulic grout pump products are most popular in Domestic Market, Mid East, and Southeast Asia. You can ensure product safety by selecting from certified suppliers, including 861 with ISO9001, 273 with Other, and 109 with ISO14001 certification.